Microsoft has release a video on Channel 9 called Windows 10 on ARM which mostly answers the question, does Windows 10 on ARM support Group Policy. This is of course an important question as the earlier version of Windows that ran on an ARM processor was Windows RT and it only have very limited local group policy support (see How to enable and configure Group Policy settings in Windows RT ). So does Windows on ARM support Group Policy? Yes, well, almost certainly yes. 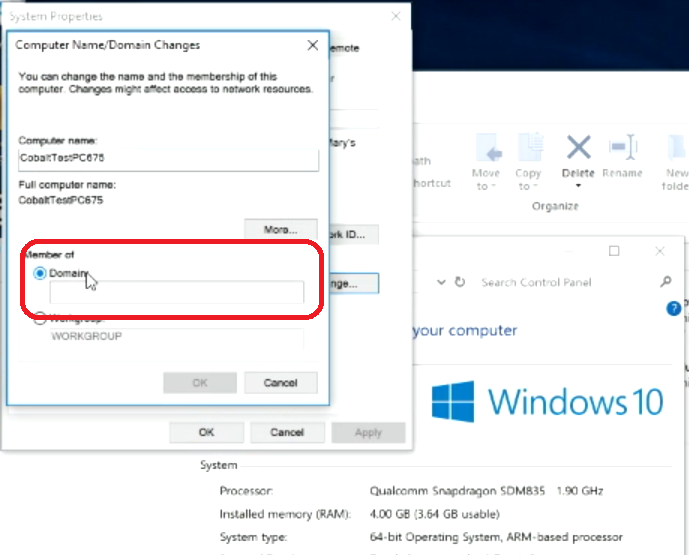 As you can see from the two screen shots below from the video Windows 10 on ARM come in a “Pro” SKU which does support Domain Joining as an option. This would almost certainly imply that Windows 10 on ARM will also support the Group Policy settings as all other Windows SKU’s that support domain joining also support Group Policy settings. So this is great news as it looks like consumers and business will be able to help from Microsoft’s upcoming Windows 10 on ARM Operating System that will have always on and always connected functionality. Hi Darren, thanks for your comments, I agree there is a chance that Windows 10 on ARM might not support group policy. I will certainly monitor this and update the site as soon as I can confirm if it does or does not. But I think there is a strong change that it will support GPO’s as that is a core feature of Windows 10 Pro.